This year several Griffin residents chose to ignore the gas tank and instead use pedal power to arrive at work as part of the 2013 Bike to Work Challenge held in October. A five-person team competed in the challenge, which was sponsored by the Georgia Department of Transportation, The Clean Air Campaign, Atlanta Bicycle Coalition and Atlanta Regional Commission. 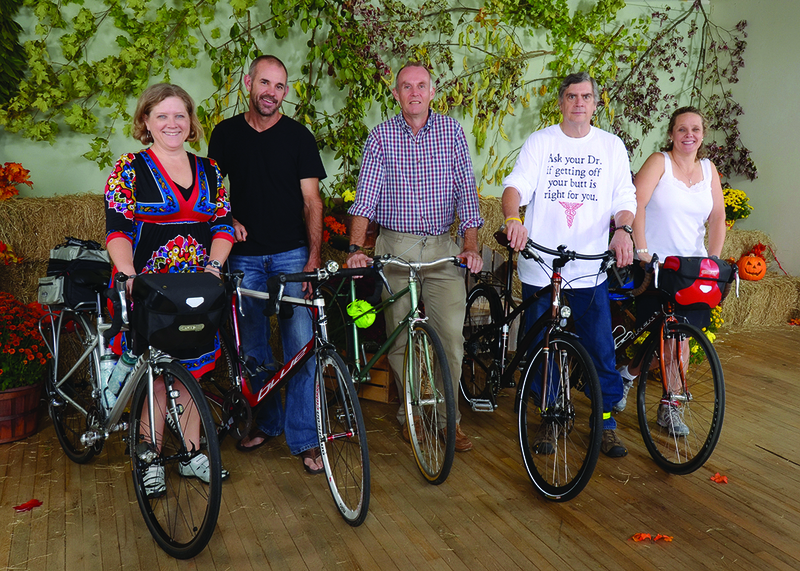 Avid cyclists Ian Flitcroft, Lee Russell, Michelle Cannon, Trey Woodall and Traci Huckaby all traded four wheels for two for the entire month. This year’s team from Griffin was named “P4S” and took third place overall in the statewide Bike to Work Challenge, according to Huckaby, who is also named on the Challenge web site as having the highest point ranking with a score of 104. The official website of the 2013 Bike to Work Challenge allows riders to log their distances traveled and works on a point system, providing points for distances, pictures taken and even classes taken on bicycling and bicycling safety. Bicyclist Ian Flitcroft had been cycling to work long before this year’s challenge and found it easy to participate as a result of his two-wheeled transportation. “The website tells you amount of gallons saved in fuel and things like maintenance. I have commuted and probably have not used five tanks of gas. I started back in March and then I got more and more serious as the weather got better. Once school got out it was not nearly as brutal because the levels of traffic were down. From home to work is only two miles so I don’t have a huge commute,” Cannon said. No matter the distance, all five team members would encourage other drivers to give up the steering wheel for at least a day or two for the experience and benefits of bicycling. “The biggest benefit is that even a two mile ride makes me feel better. Your energy comes back and it makes you feel better. You get home and you have this whole new bounce of energy because you rode the bike home. Everybody ought to do it at least once. Because you don’t know what you are missing until you try it,” Cannon said.